jokes | Liza Jane Writes . . .
Liza Jane Writes . . . I must have fear of commitment. I keep saying I’ll pay more attention to my blog, show it how much it means to me, spend time with it. Not obsessive amounts of time, just more time. And I do for a little while, a few days. And then I go days without checking in, much less posting. It’s not that I don’t love you little blog, I really do. It’s not you, really, it’s me. I have issues. I’m probably not good for you. I want to be there for you, I just . . . I don’t know what happens. You deserve better than me. You deserve someone who will be there when she says she will be there. Someone you can count on. It’s not that I don’t think about you, I do. I care about you, it’s not that. I dunno. If you still want to hang out, that would be great. I’ll try to do better. I know I’ve said it before, I know, I know. And I’ve said this time I mean it, but this time I really, really do. Let’s stop talking. Hold me. I’ve figured out why I’m not getting as much sleep as I should. 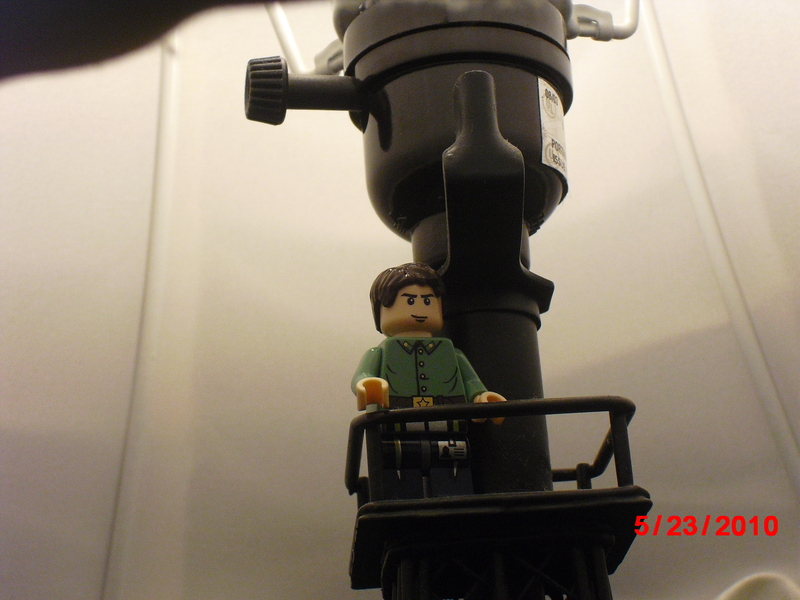 My “eureka!” moment came the other morning when I woke to see a man standing near my bedside. We were practically face to face and he was staring with a fixed expression, his hand reaching out to me. Of course I was surpised, and you may be wondering if I screamed or called for help or how I managed to get this man out of my bedroom or house. He’s still there actually, but don’t be alarmed . . . 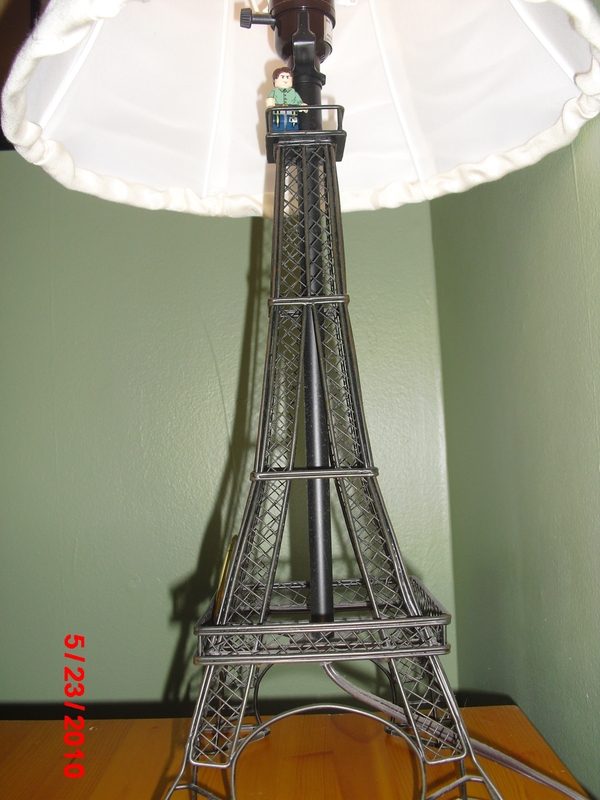 Apparently my son thought my Eiffel Tower lamp needed a tourist. My kiddo and his little jokes. Love his sense of humor. I recently bought a cast iron gnome for our flowerbeds, but I’ve yet to put him outside so he’s standing in our living room. The other day I noticed his ears look a bit different than when I brought him home. 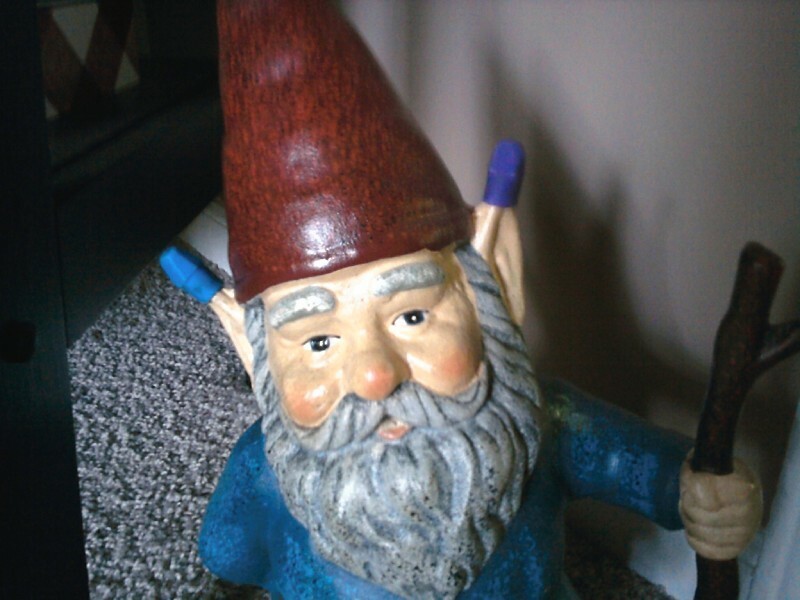 Not sure how the kiddo came up with that one, putting erasers on the gnome’s ears, but now our gome looks a little more elfish with those ear extensions. What will my little practical joker come up with next? The Bachelorette — How have I missed Emily’s season?? I should know better . . .